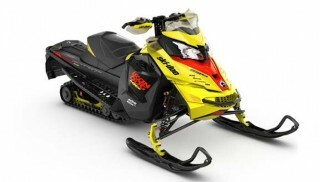 How Does a 2006 Ski-Doo MXZ Compare to a Modern Snowmobile? Admittedly, snowmobile publication editors are spoiled. We get the latest information about new models before anyone else. We get to ride the latest sleds, wear the latest snowmobile gear and visit the best riding areas – as guests. We get to experience the sport at a higher level of involvement than most. Of course, we also get to be pretty picky about the newest and latest models. We make snarky comments about the things we don’t like about the new sleds and, sometimes, we forget how far we’ve come in just a decade of snowmobiling. Oftentimes sleds seem to roll into one over time, that’s why this spoiled snowmobiler decided to experience a decade of change out on the trails near our Minnesota editorial offices. We figured that maybe we’d become a little too insulated and spoiled. Each season we get a new snow toy and can only compare it to the one we had the previous season. That doesn’t allow us to reflect on the changes in the sport’s products. But, what if we took a sled that was once the unquestioned technology leader and compared it to today’s sleds in ride, ergonomics, etc? How would a 10-year-old state-of-the-art sport model hold up by comparison? 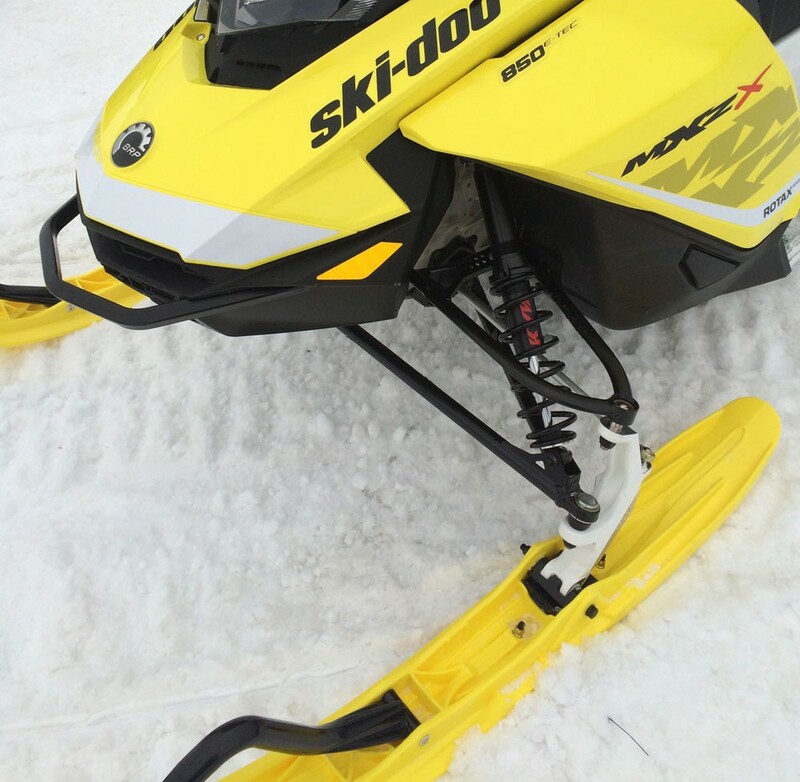 Well, it happens that this spoiled snowmobile writer owns a 2006 Ski-Doo MXZ, which in its day was billed as the “Best Sled on Track and Trail.” It was this sled that changed everything. Its REV chassis established the must-have rider-forward positioning that is standard across the industry. It offered premium by 2006 standards ergonomics. You sat upright and forward. You could sit back to cruise or quickly move to a standing position to crunch moguls. 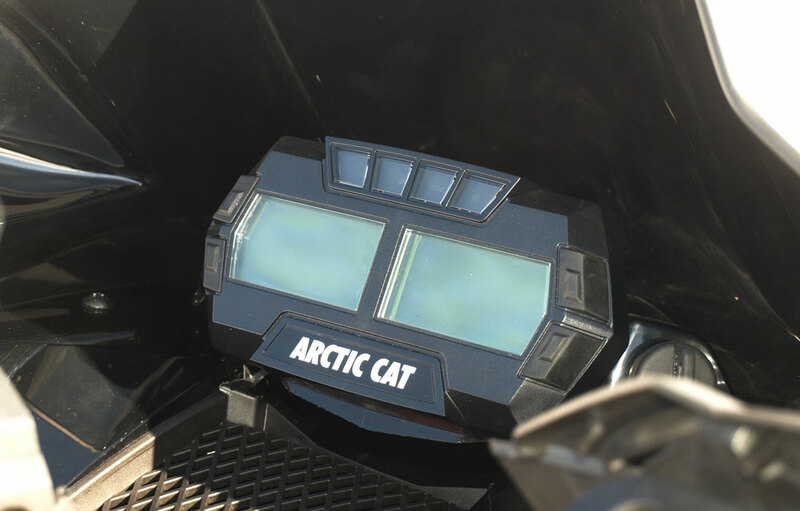 Gauge packages like Arctic Cat’s 2017 design can tell you virtually everything from engine speed to fuel levels to mileage and so on. And it’s tune-able. The 2006 MXZ came in a variety of packages including an X-package for aggressive, experienced riders who thought of themselves as racer-like riders. A step down, the Adrenaline package was a bit less racer and more sport. The Trail package was designed to offer value but retain handling and bump capabilities. You know, all of that seems to describe most modern 2017 models. After all, this 2006 MXZ, on paper, at least, seemed modern and offers little to no reason to upgrade to a newer sled. That’s what we tell ourselves. We believe it simply because when we ride a year newer test model, it doesn’t seem changed that much. But when you ride a decade-old state-of-the-snowmobile-art model, you understand how far we’ve come. Admittedly we like our 2006 Ski-Doo and have no plans to get rid of it. In fact, it’s a bit unique as old sleds go. It’s a Ski-Doo MXZ X 550F Blair Morgan Replica, which means it’s got the Blair Morgan “bumble bee” graphics carried over from the factory Ski-Doo racer’s race sleds. In 2006 Blair Morgan was to Ski-Doo what Tucker Hibbert is to current Team Arctic Racing. It came with high-performance HPG shocks all around to appeal to riders who wanted a fun, super-lightweight sled with incredible handling and capability. That was us. This was the sled we used to remind ourselves that, yes, snowmobiles have advanced quite a bit since the mid-2000s. Take that ride-forward positioning. It’s too forward. 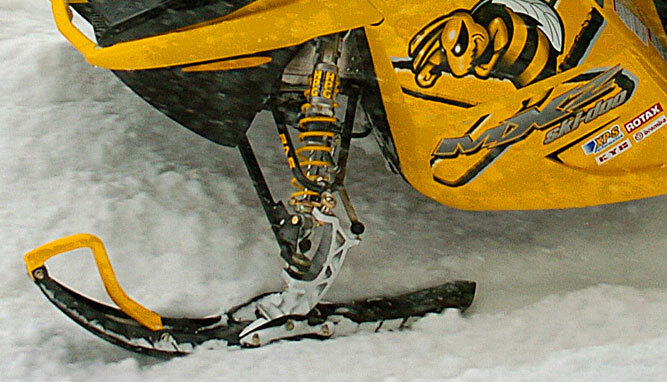 Your knees clash with the cowling to the extent that Ski-Doo offered an optional knee pad to minimize bruising. We fitted our MXZ with it and note that it makes a difference in comfort over bumpy trails. Modern sleds, not just evolved next generation REV models, fine-tuned rider positioning to mean that you have ample leg and knee area. The seat on the 2006 puts you upright, but not quite enough. That’s another difference as the modern sled seat sits up more, has a narrowed front, wider rear support and may be heated. Although the REV pioneered ride-forward seating, it didn’t offer the leg and knee room of a modern 2017 like Yamaha’s Viper. The foot and knee area on the 2006 crowd you whereas new design sleds offer improved runningboards that evacuate snow better to minimize ice buildup. The room for your feet is more generous. My 2006 cramped my right foot because it took foot space away to make room for the exhaust and chain gear components. That problem isn’t totally solved as we noted that the current 2017 Polaris 600 Switchback SP 144 also eats up foot real estate for its gear case and cooling needs. The 2006 MXZ specialty unit came with a fixed windshield, lower ride height and performance-oriented HPG shocks. All items to reflect sport and sport handling. 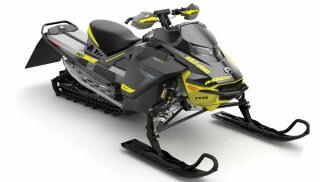 Modern sleds share a similar “look,” but the new designs will have vastly improved weight balancing as the engines now sit low, and in the case of the GEN-4 Ski-Doo, are centered for balanced handling. Your body now is a direct influencer of rear to front and side-to-side maneuvering. Polaris among others spent a good deal of effort to establish its rider-influence to add or subtract weight bias for grip or ski lift. 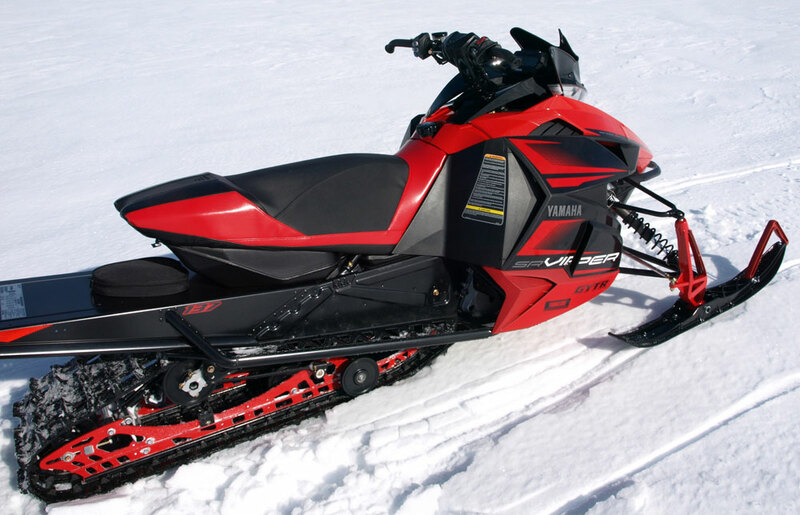 While we appreciated the ergonomics of the 2006, we find that today’s sleds suit us all better. The handlebar sets are more adjustable in virtually every conceivable manner. Most new sleds come with risers that let you make custom adjustments depending on riding style. 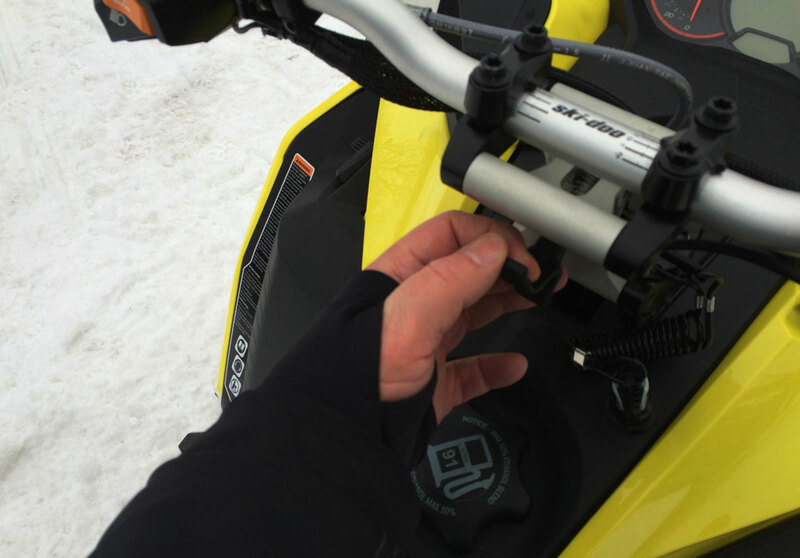 And Ski-Doo’s new quick-adjust handlebar option is stellar. A decade ago, we wouldn’t have thought about such convenience features like the quick-adjust handlebar developed for Ski-Doo’s new MXZ 850. Oh, yes, our 2006 550F is a fan-cooled model with twin carbs. The throttle pull stands out as extremely heavy, especially when compared to a Rotax ACE design with its Intelligent Throttle Control or even a four-cylinder Yamaha Apex with a light pull on its electronic fuel injectors. 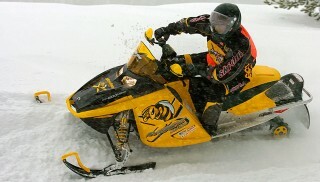 In 2006 Ski-Doo lowered our MXZ’s front suspension by 1.5 inches for flatter cornering. Today’s sleds offer sharp handling with geometry that maintains suspension travel for a comfortable ride like the tall spindle Arctic Race Suspension. Where the HPG shocks were top line, they have been demoted in favor of Fox Float air shocks and QS-3 triple-mode adjustability. Our 2006 REV platform was state of the art a decade ago, but has been mightily surpassed by the latest Ski-Doo GEN-4 with its centered weight and superior suspensions. Even though the day we rode favored excellent trail conditions, we had forgotten the effects of “darting” where your ski wants to follow a pre-existing rut. Modern sleds effectively mitigate darting, but our dual runner MXZ skis that were meant to minimize darting suffered by comparison with new ski designs. Although the dual runner skis on our 2006 MXZ were meant to minimize effects of “darting,” they suffer by comparison to new ski designs like Yamaha’s Tuner ski. That doesn’t consider a modern sled’s superior ride comfort that was wishful thinking in 2006 with the SC-4 and HPG shocks. Fuel economy, oil economy and engine durability have all improved over the years to the point that we simply take them for granted. The 2006 MXZ’s HPG shocks were top of the line, but are now demoted to being “mere” standard issue shocks. We like our 2006 MXZ 550F and will continue to ride it, but it does make us appreciate the advances in snowmobiles since then. Ride, power, sound, economy, on-trail comfort, you name it, today’s sleds are better in every way we can think of. And, yes, we are spoiled because we’ll get to pick nits on the soon to be released model year 2018s as compared to the current 2017s. But, at least, a ride back a decade helps us appreciate how minimal today’s nits have gotten compared to back then.